Why are so many people interested in buying a Santa Cruz bank foreclosed home? It's true that everyone wants a new home that will fall within the price range they have in place. Properties, especially those in coastal areas, have very high values and getting these properties at an affordable price is becoming very difficult for many buyers in Santa Cruz. When you search for homes that meet the characteristics and location you want, you often get discouraged by the high prices. The good news is, you don't have to subject yourself to the costly situation of open market since there are lucrative investment opportunities in bank-owned "REO" foreclosed homes. 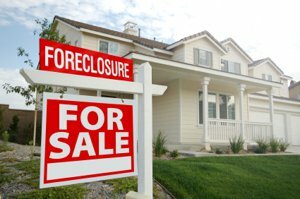 So, you can opt for bank foreclosure properties when you need a new home with a good discount price. Bank foreclosure properties in Santa Cruz take the form of repossessions of homes and then re-selling these homes to recoup the losses. When homeowners fail to pay their home mortgage loans, the lender will take over the homes and sell them in order to get the debts redeemed. The value of the homes usually exceeds the debt owed. This means that the lender may undersell the homes and still recover the debt owed. When this happens, the buyer will record substantial gain. Check on sites like Property Radar and you will access an online database of hundreds of thousands of listings of discount properties nationwide (with many in California and some in Santa Cruz) and also property foreclosures owned by banks. You will not have issues locating these deals in town since we are here to guide you. We'll give you the expert guidance so that you can find the best deals currently available in the market. That is not all, you stand to know how good values are identified and also kill off hidden costs on deals because they are likely going to hurt you afterwards. We have the experience you need to make the best investment opportunity. Our Concierge Services is second to none and we will make sure that you are not left in the dark especially when you have to bring your investment plans into reality. We will be glad if you allow us serve you with experienced investment ideas as you opt for bank-owned "REO" foreclosed homes in Santa Cruz.